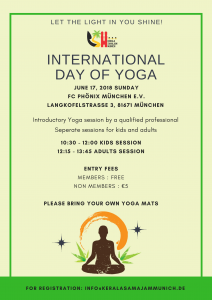 Kerala Samajam Munich organises a number of events every year. Most of the important festivals like Vishu, Easter, Onam and Christmas are celebrated in a grand fashion. KSM also conducts an annual grill event in summer. 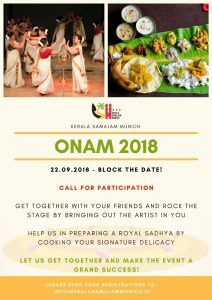 These events provide a perfect platform to meet fellow Malayalis and to make new friends. We look forward to your participation in the upcoming events.